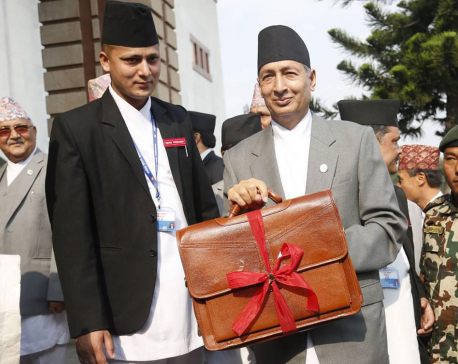 KATHMANDU, Dec 28: Work has started on the budget for next fiscal year but the Ministry of Finance does not yet have a formula for distribution of budget funds to the provinces and local units. The reason for this is uncertainty over the appointment of a National Natural Resources and Fiscal Commission, the five-member body for determining the formula and modality for the distribution of revenue to the provinces and local units in a just and rational manner. The budget is allocated to the local levels under four types of grants: equalization, conditional, matching and special. 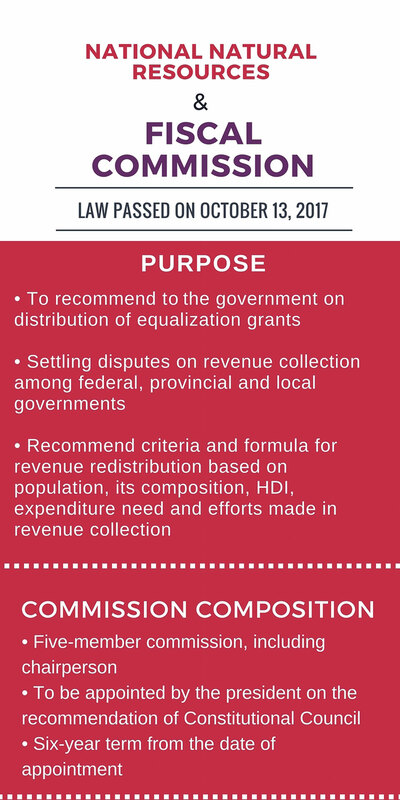 Such a formula is important for the distribution of equalization grants for the harmonized development of the provinces and local units. The commission's recommendations on fiscal transfers are important for budget making now that the country has entered a federal setup. The National Natural Resources and Fiscal Commission Act 2017 was endorsed by parliament in September but an office of the commission has not yet been established. The commission has to recommend to the government the distribution of equalization grants to the provinces and local units out of the Federal Consolidated Fund. The budget this current fiscal year distributed amounts to the provinces and local units only as equalization and conditional grants and no scientific methodology based on the status of the provinces and local units were involved. The commission has to conduct a study and lay out the parameters for the distribution of conditional grants. 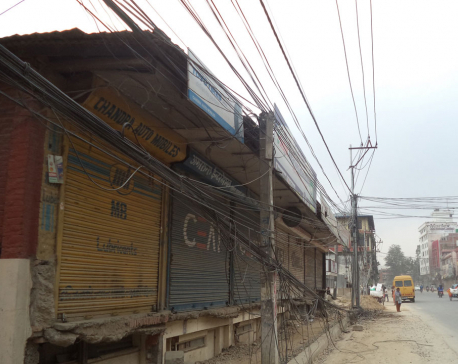 “Therefore, appointing the commission members and setting up a commission office are urgent tasks. They need time to do the homework rather than make hasty decisions,” said an official at the Budget and Program Division of the Ministry of Finance, who was not authorized to talk to media. “We had demanded the formation of a high-powered commission immediately after tabling the budget in May, pointing out the need for time to do the research and make budget transfer recommendations on a scientific basis,” added the official. Finance Secretary Shankar Adhikari acknowledges the importance of the commission, and he said the designation of officials for the commission's office is likely within a few weeks. However, the appointment of commissioners may take more time. Adhikari indicated that the constitutional council has yet to take full shape pending the appointment of a leader of the opposition for the recommendation of a chief commissioner and members. The commission is also mandated to settle disputes arising among governments at the federal, provincial and local levels over revenue collection and distribution, as well as advise all three tiers of governments on protecting natural resources.